Despite sounding like a southern area, Sutherland is about as far north as you can go on mainland Britain. It is an area of Durness limestone in the extreme northwest of Scotland and contains a variety of interesting caves. 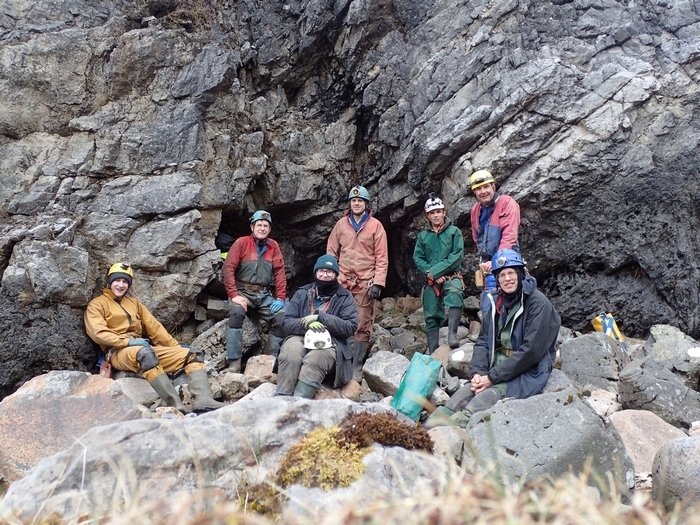 There are three sub-areas near Elphin, where the Grampian Speleological Group has its hut: the northernmost is near the Inchnadamph Hotel, the central contains the Bone Caves and the southern is close to the hut at Knockan. 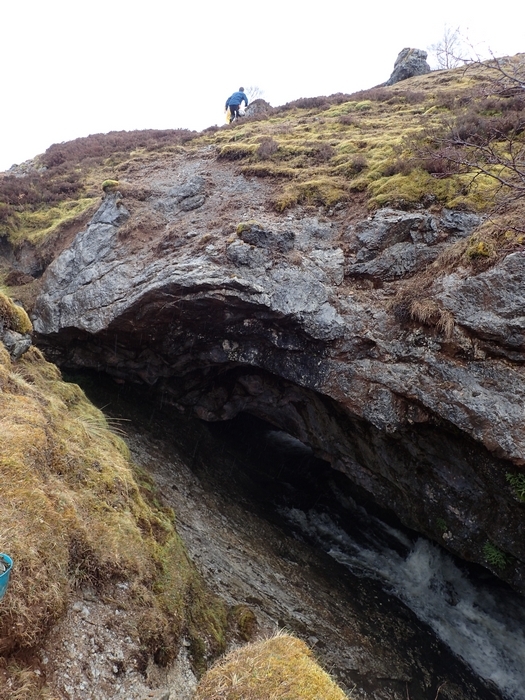 Significant caves are Cnoc nan Uamh, the Traligill System, Allt nan Uamh Stream Cave and Rana Hole/Uamh an Claonaite. As we found, all caves are quite cold and wet! 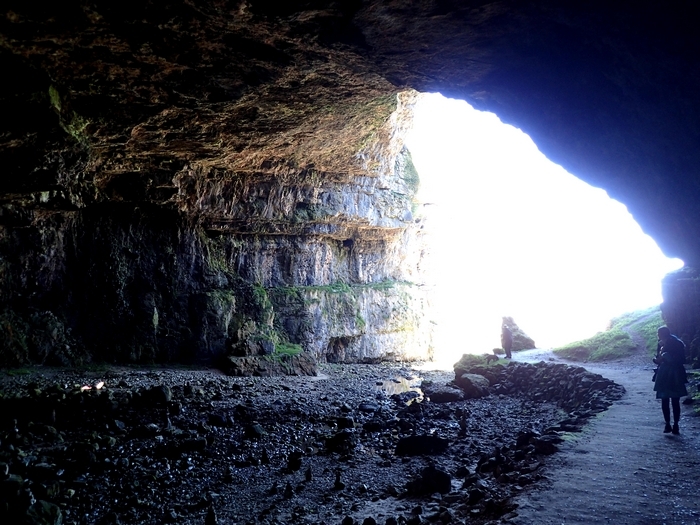 Just up the coast is the famous Smoo Cave. This is not the only caving area in Scotland as there are also limestone caves in Appin, southwest of Glencoe and also on the island of Skye. There is of course also the famous Fingal's Cave on Staffa. 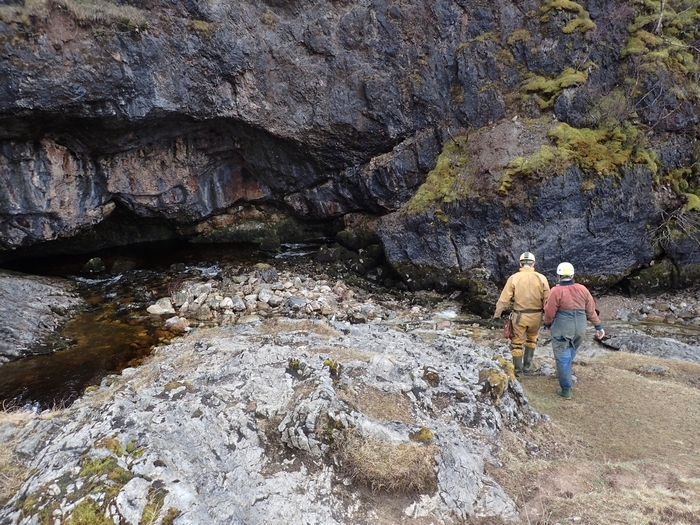 There are a couple of "show caves" and opossibly the best known is Smoo Cave in Durness. There are references to Scotland in British Caving and other books but the best source of information is probably the clubs working in the county. Alternatively, Tony Oldham published "Caves of Scotland [except Assynt]" and the GSG has published "Caves of Assynt". Both are out of print.